This Bacon's uncommon c. 1900 map of London, England. 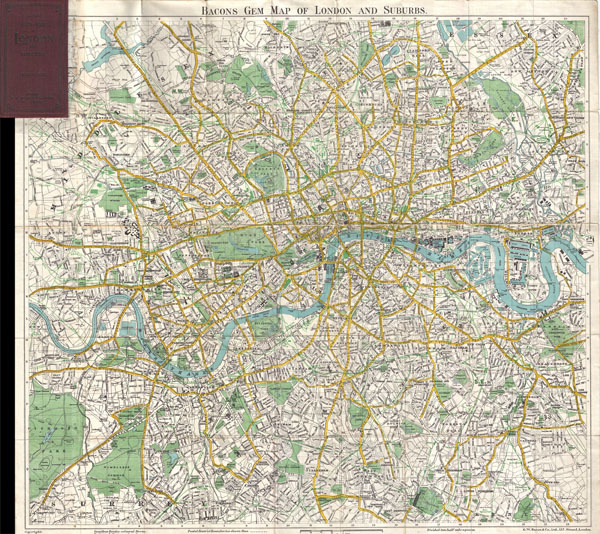 Covers London from Mortlake and Richmond Park to the East India Docks and Greenwich Park. Names all streets, parks, railways, and numerous important buildings. Folds into its original maroon binder. Very good condition Minor wear on original fold lines. Blank on verso. Attached to original linen binder.